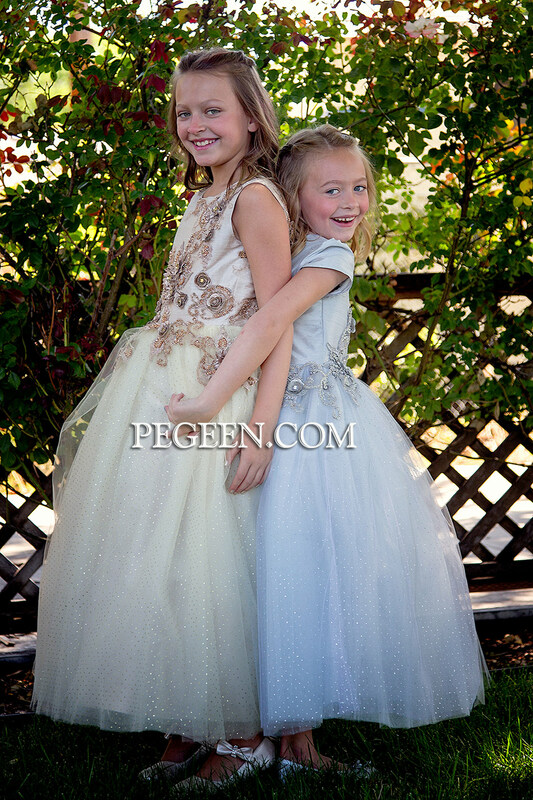 Each week we feature a new flower girl dress to highlight as our favorite “flower girl dress of the week” – showing one of the newest custom dresses we made at Pegeen and especially love. We used a plum color of silk called wild berry and petal pink for the sash and lots and lots of layers of tulle. 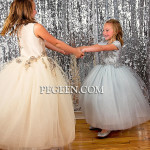 Pegeen has over 200 colors of silk and many more in tulle! If you plan on ordering a dress from us, we suggest you order free swatches. 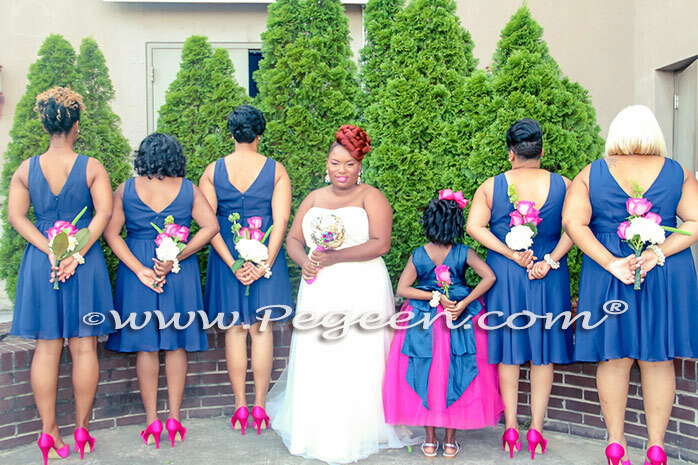 This customer chose to base her pink and plum flower girl dresses on style 402 and used wild berry for the base and tulle and petal pink for the sash. 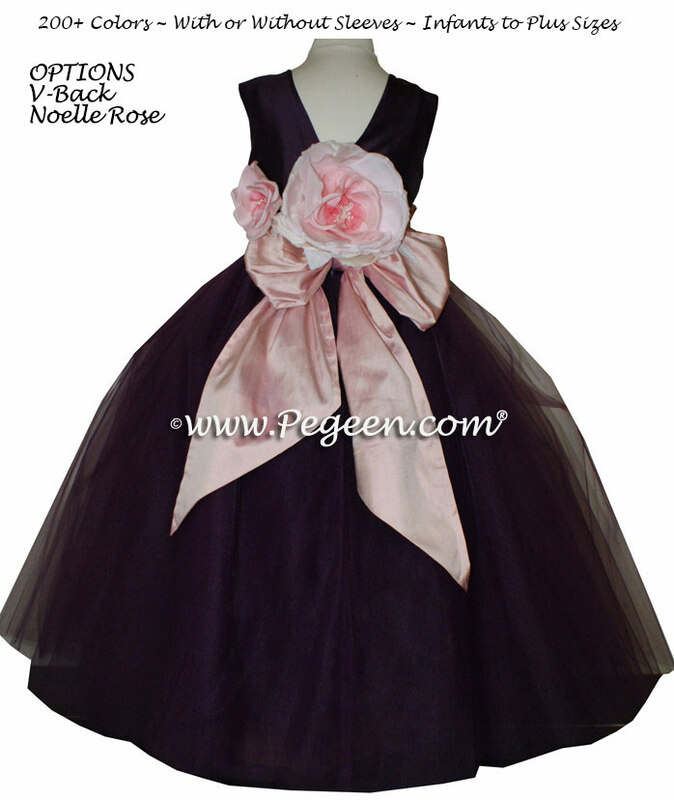 Additionally, she added a Noelle rose and a v-back for a total of $55. Tulle flower girl dresses at the beach? May 18, 2011 / Orange or Peach Themed Weddings, Tulle Flower Girl Dresses / Comments Off on Tulle flower girl dresses at the beach? What is more fun than three giggling girls at the beach! 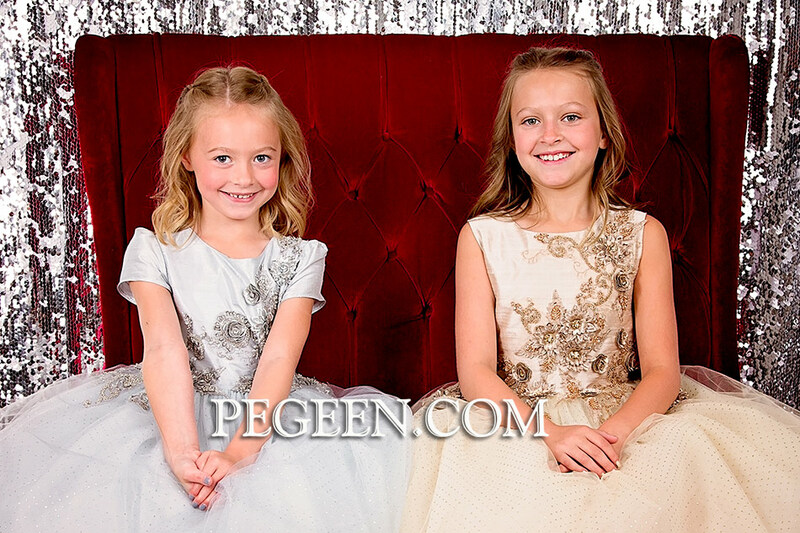 Why, being flower girls of course! 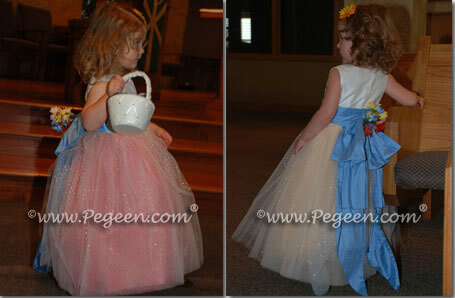 These triplets wore coral colored silk and tulle, degas style flower girl dresses. 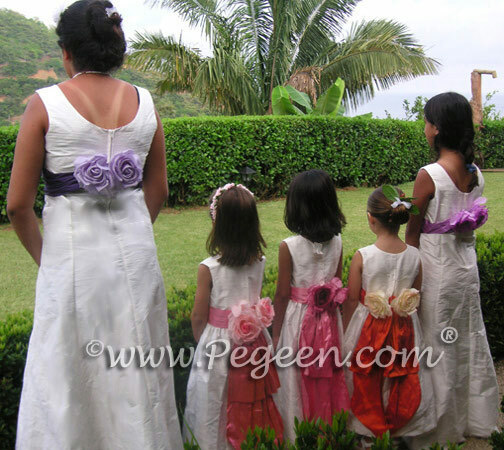 For our wedding of the month of May, we chose our returning customer with her three daughters. In multiple shades of coral silks including Coral Rose, C antelope, Peach, Fire, Mango, Squash, Carrot and Playtime —- did we leave out sherbert? NOPE! 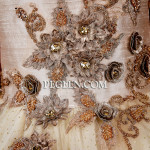 Dresses were lined in Sherbert silk under 10 layers of multiple shades of corals and peaches.